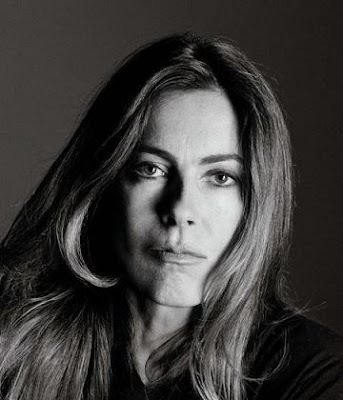 Kathryn Bigelow made history tonight to become the first woman to be awarded the Directors' Guild of America award for Best Director for her film The Hurt Locker. The win came as a surprise to many, who were projecting her ex-husband, James Cameron, to win for Avatar. James Cameron beat out ex-wife Kathryn Bigelow on Saturday night at the Directors Guild of America Award for feature-film directing, a prize that has traditionally led to a win on Oscar night. Cameron won for his blockbuster "Avatar," while Bigelow was nominated for her critically acclaimed Iraq war drama "The Hurt Locker." Cameron won the Golden Globe earlier for best director, and said during his acceptance speech that he expected Bigelow to win the prize. Not that one expects top-notch reporting from the El Paso Times, but still it's strange. Bigelow is now the odds-on favorite to win the Best Director trophy at the Oscars, becoming the first woman ever to do so, while The Hurt Locker surges ahead of Avatar in the final days leading up to the nomination announcements on Tuesday. A lot can happen between now and Oscar time, but it looks like the race is finally starting to take shape.